All sorts of high-tech car safety features are available on today’s new cars, from systems that automatically apply the brakes if you’re in danger of crashing to rear-view cameras that let you see obstructions behind your car. But in most cases, the really cool stuff is too new to score discounts on your car insurance policy. The safety features that usually qualify have been around for decades, such as anti-lock brakes. Adaptive cruise control. This monitors traffic conditions and adjusts speed by controlling the throttle and brakes to keep the car a safe distance from the vehicle in front of it. Lane-departure warning systems. These use cameras to track the car’s position and alert the driver if the vehicle drifts out of the lane. Collision-avoidance systems. These use sensors to recognize when a collision may happen, such as the vehicle skidding or approaching the car ahead too quickly. The systems may apply the brakes or take other actions to protect the driver and passengers. Most car insurance companies don’t offer discounts until safety technology has proven over many years to reduce insurance claims. Here are the safety features most likely to qualify you for a car insurance discount. Years ago drivers were instructed to “pump the brakes” if the vehicle was skidding, because a locked-up wheel is less effective at bringing the car under control than a wheel that is rotating slowly. That advice went by the wayside with the development of anti-lock braking systems, which began appearing on high-end vehicles in the 1970s and was used on many models by the late 1980s, according to the Insurance Institute for Highway Safety. As of the 2012 model year, the federal government requires automakers to include anti-lock brakes as part of the standard equipment on all passenger vehicles. Discounts for anti-lock brakes vary. Allstate offers a 10% discount, for instance, and 21st Century Insurance offers a 5% one. Florida, New Jersey and New York require insurers to give a discount for anti-lock brakes. Air bags cushion the blow for people during a crash. Frontal air bags have been required in all new passenger vehicles since the 1999 model year. Side air bags also are included as standard equipment on almost all cars to meet federal side-protection requirements, according to the Insurance Institute for Highway Safety. Some vehicles feature inflatable safety belts or rear-window curtain air bags to protect passengers in the back seat. Car insurance discounts generally increase with the number of air bags. Geico, for instance, offers up to 25% off for driver-side air bags and up to 40% off for full front-seat air bags. The discount applies to medical payments or personal injury protection coverage. Esurance offers a discount of 2% to 33% on medical payments coverage or personal injury protection, depending on the state and the number of safety features. Daytime running lights are headlights that come on automatically when the car starts. They help prevent daytime head-on and front-corner collisions. Automakers began offering daytime running lights in 1995, and now they’re a standard feature on many vehicles. Some insurers offer a small discount. Geico says you can save 1%, for instance, on certain coverage. Electronic stability control systems help prevent vehicles from skidding out of control and rolling over when drivers have to steer hard or turn on slippery roads. The technology uses sensors and a computer to monitor how well the vehicle responds to steering and then automatically applies the brakes to keep the car under control. The systems have been required on all cars, SUVs, pickups and minivans since the 2012 model year. Insurers that offer a discount for electronic stability control typically apply it to collision coverage. Insurance claims payouts for collision coverage are about 15% lower for vehicles with electronic stability control versus those without it, according to an analysis by the Highway Loss Data Institute. Motorized seat belts, which were often paired with manual lap belts, fastened automatically when the car was started or the door closed. Many automakers installed them to meet a federal requirement for vehicles to have automatic restraints, either motorized seat belts or air bags, from the 1990 model year onward. Air bags eventually replaced motorized seat belts, but many insurers still give the same discount for automatic seat belts as they give for air bags. Your car likely does not have automatic seat belts if it’s a 1998 model year or later. Discounts for safety features not only vary by insurance company, they also vary by state. An insurer may offer a discount in some states but not others, or the percentage may differ from state to state. Ask your insurance representative about money-saving deals. But when shopping for insurance keep in mind that a company advertising large discounts may still not offer the lowest-cost coverage in the final tally. 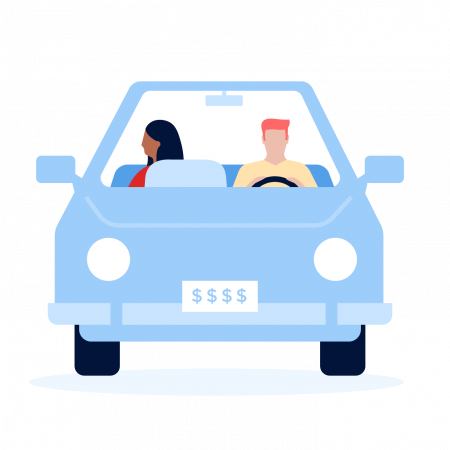 NerdWallet’s car insurance comparison tool can help you look for coverage to fit your needs and budget.